Only 20 Designer Homes. Affordable Price. Single Family Detached Home Living in the heart of historic Murrayville Langley. Introducing the new Langley RADIUS Homes, the first of three developments in the new Hayer Lifestyle Design Series. 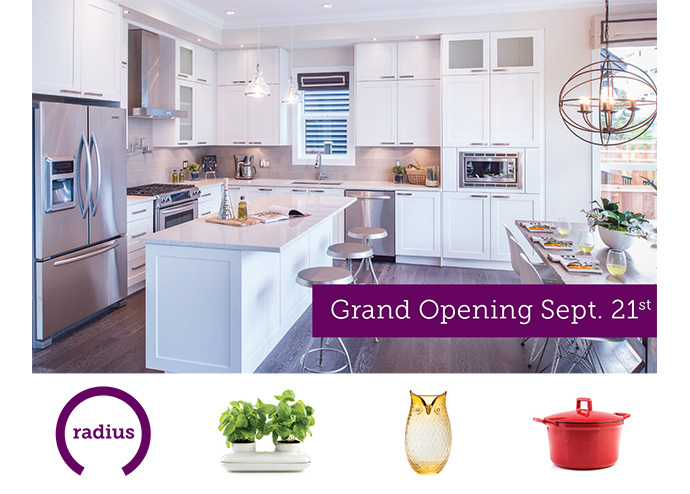 Previewing this Fall 2013, Radius Langley single family homes is a limited collection of design inspired 3 and 4 bedroom homes for sale. Located at 4921 – 223B Street Langley BC, the prestigious Murrayville Radius homes will start from the mid $600,000s (great value!) and the floor plans will include both 4 bedroom and optional 5 bedroom layouts, finished basements and over 3,000 square feet of indoor living space. As well, there are beautiful outdoor living spaces that will extend your functional space outwards. A furnished show home will open on September 21st, 2013 and you can VIP register online at www.hayerlifestyle.com today. The presale Langley RADIUS Murrayville single family homes are located in a great community that is both private and quiet yet very central to grocery stores, the WC Blair Recreation Centre, top ranked schools for all ages and numerous amenities and services. In addition, the boutique 20 home community at RADIUS by Hayer Lifestyle Design Series is located on a cul-de-sac for extra privacy and security. Don’t miss out. The Grand opening of Radius is this Saturday September 21st. Radius is a limited collection of 20 designer homes located in Langley’s prestigious Murrayville neighbourhood. Priced from only $639,900* these spacious 4 & 5 bedroom homes range from 2,934 to 3,720 sq.ft. including finished basements. Something new. Something dazzling. Something exciting. Something innovative. These 4 words have been used to describe the Hayer Lifestyle Design Series first launch of design and function oriented designer homes for sale. The first development in this series is the Langley RADIUS Homes in Murrayville where you will find only 20 homes in this most sought after district. It’s also the only new single family development in Murrayville Langley at this time. The entirely new way of designing homes will focus on space, design and community. The Langley RADIUS homes will also provide thought to every detail and feature so that the homes are purpose driven and unique in every way to make your life more fulfilling. The exterior architecture is innovative and beautiful and definitely not cookie-cutter like most other Lower Mainland developments. Here at the Hayer RADIUS Langley homes for sale, you will find that every home is different and will have their own individual flair. However, there is a cohesive architectural design throughout the community so that it looks completely integrated into the surrounding neighbourhood and gives a sense that they all belong together. From the rich and warm heritage colours to the stone accents and wood trim, the RADIUS Langley single family homes have a distinct West Coast/Cape Code look and feel with craftsman detailing which is simply dazzling. Inside, home buyers will be astonished and excited about the over height 10 foot ceilings on the main floor. There are 7 inch baseboards throughout the main level and even a powder room with beautiful coffered ceilings. In addition, the homes at RADIUS Langley Murrayville homes for sale will have great rooms that are huge open spaces with smooth surface ceilings, bubble glass pendant lighting, eating bar, pot filler and concrete fireplace surround. The backyards at these extra spacious single family homes will have generously sized patios with gas barbeque outlet in addition to low maintenance greenery. Both private and beautiful, these backyards are perfect for children and pets. On the upper floor of the new Hayer Radius Langley homes for sale, you will find 3 bedrooms plus an open, loft style family room that could easily be converted to a fourth bedroom (great flexibility). The master bedroom will feature an ensuite with extra wide soaker tub crowned with a sparkling chandelier as well as a frameless glass shower. The upper floor will also have a laundry room with side by side washer and dryer, counter top space for folding and sorting and lots of storage space. The fully finished basements (unheard of in the Langley real estate market) at the Hayer RADIUS Murrayville single family homes will have a media room, large recreation space (that can be converted into a one bedroom suite with it’s own private entrance and interior lock-off door). Use it as a nanny suite or an in-law suite or just storage. RADIUS Langley homes definitely stand out from the rest!